If you can dream it, you can makerspace it. Concordia University-Portland has been educating educators for more than 110 years. Their online Master of Education (MEd) and Doctorate of Education (EdD)programs are uniquely designed to provide teachers with programs that fit their schedules, careers and hearts. You can’t underestimate the power of a good classroom makerspace. 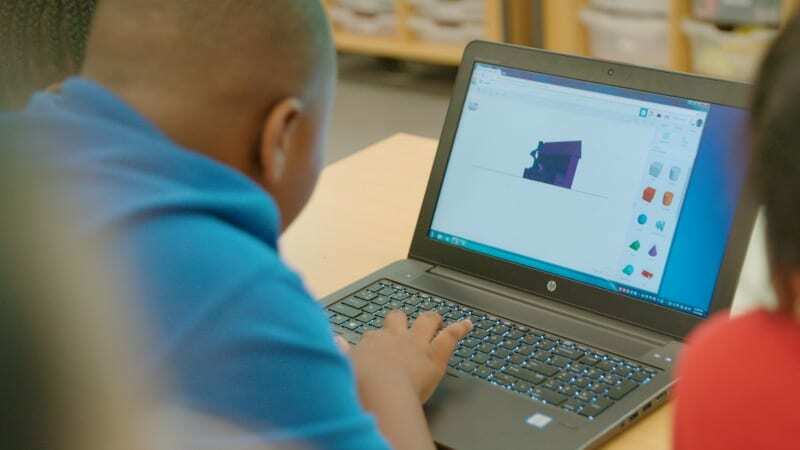 Reep runs a dedicated makerspace classroom for grades PK–8 at Faubion. She acknowledges how amazing it is to have the space and resources for a full-fledged makerspace, but she also believes that it’s possible to create something similar, regardless of your space or budget. Looking to start a makerspace on a budget? Here’s help. Or if you need an easy, step-by-step plan, try this. So what are the best, most essentials parts of a makerspace? Reep shares the top spots in her classroom and how her students use each one. Plus, get ideas on how to recreate something similar in your own room or school. Here’s Reep talking about the spaces in this video. Then read on for specific tips! 1. Designate a 3-D printing space. 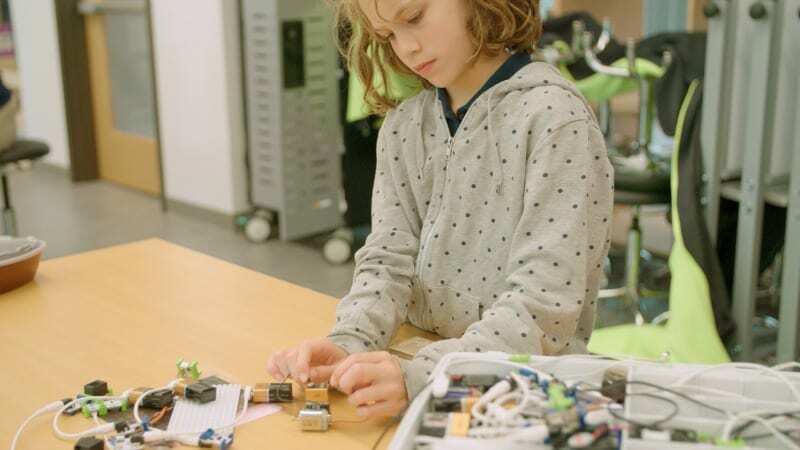 It seems like a must-have for makerspaces these days, and Reep says it’s one of the easiest ways to introduce kids to hands-on learning and tinkering. Makespace secret: Don’t have the budget for a 3-D printer? You’re not alone. They can be expensive for a single classroom purchase. However, many schools still have access to one. 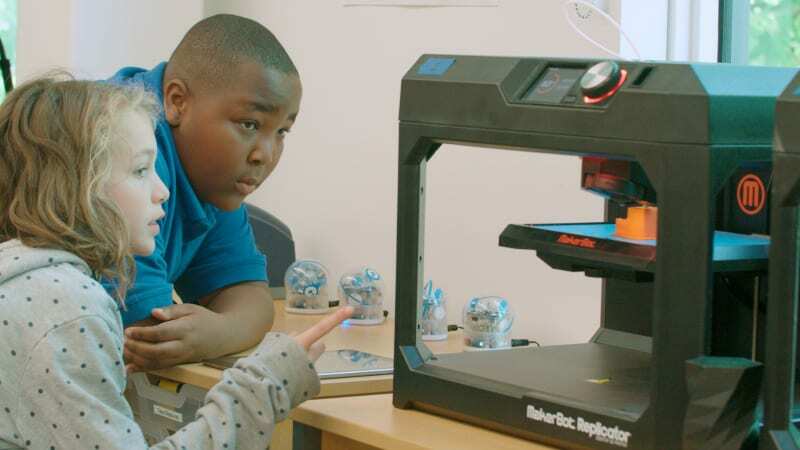 Ask your IT person if they know of 3-D printers in the district and then contact the teacher that does have access to one. Ask if they’d be willing to work with your students on a special project. 2. Set up a hot glue station. Reep says if there’s one thing you should definitely have in a makerspace, it’s a hot glue station. She lets kids as young as kindergarten use hot glue guns. A lot of people question this at first, but she says it’s all about teaching them how to use it properly. She says they’ve actually had very few incidents because kids know to take it seriously. She also says almost everything in makerspace can be done with hot glue at the beginning, before moving on to additional tools. 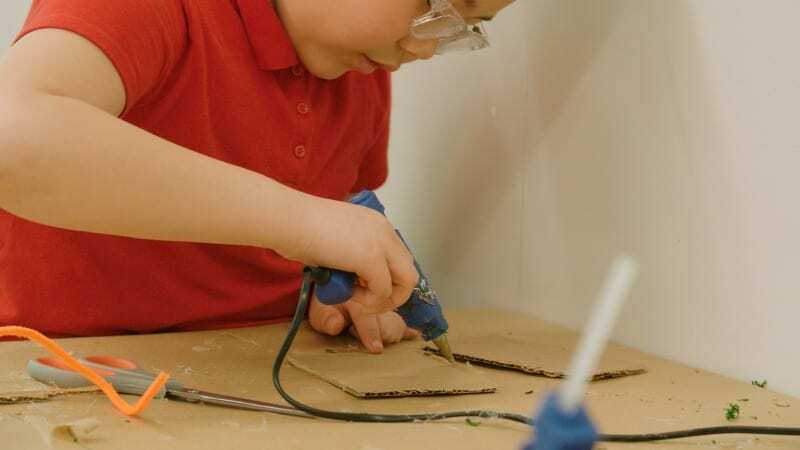 Makerspace secret: Definitely start with the low-temp hot glue guns that are low risk. This is a good item to ask parents for donations or get funding for through your PTA group. They are inexpensive and can create so much. 3. Create a space just for tools. This is probably what many people imagine when they think of having a makerspace. It really promotes building, thinking, and creating. Makerspace secret: As Reep advises, you don’t have to have a ton of tools to start. Ask for donations or pick up supplies from a thrift store or garage sale. Even having basic screwdrivers and boards is a good start. 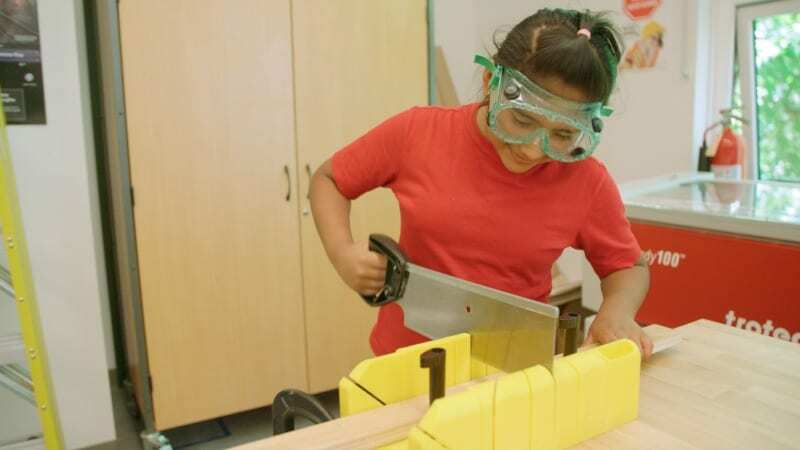 Help your students to build their competence a little at a time—hammer and nails, then screws and screwdriver, etc.—before they graduate to larger tools or power tools. 4. Plan a spot just for essentials. Students need to feel like the space is their own, and one of the best ways to do this is by having an essentials area with items you use regularly. Let them take some ownership of this area so they know they can go to it often. 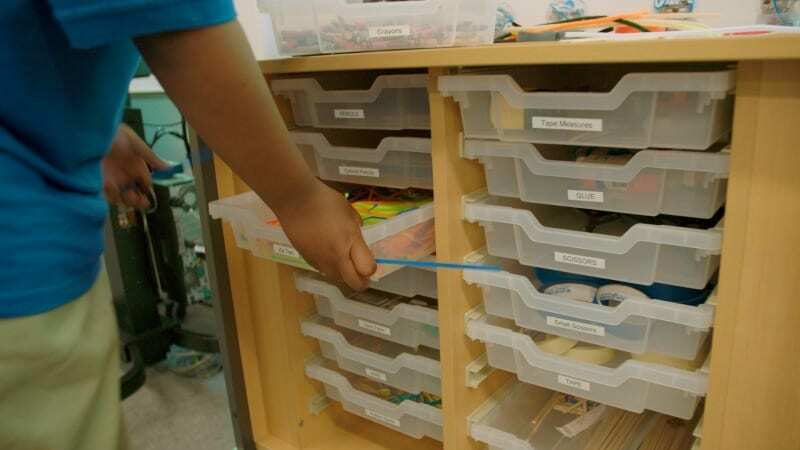 Makerspace secret: Get an organizer that is tall and has multiple drawers, like Reep has. It is perfect for organizing essentials, and it’s easy to label. Then encourage students to really keep the items nice and neat. You might even make maintaining this space a classroom job for a student. 5. Have a sewing place. Kids of all ages can learn to sew. Reep even had her kindergarteners make pillows last year. Makerspace secret: If you don’t have a sewing machine, put a call out to parents or friends, asking if someone has an extra. Chances are, you’ll be able to easily find one. 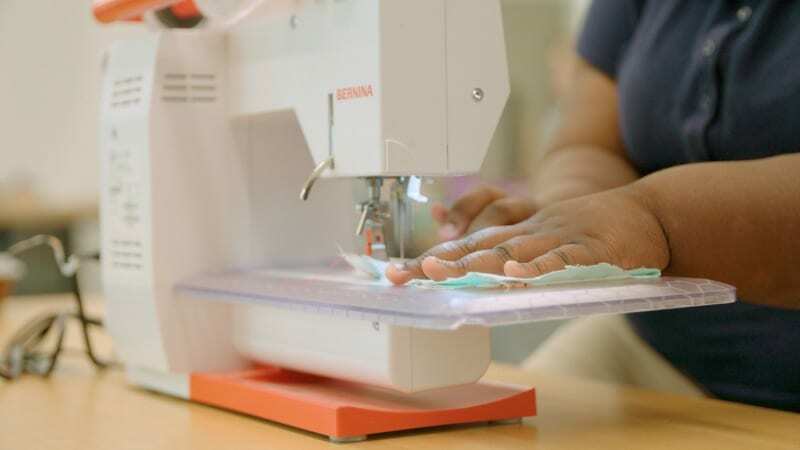 You might even ask the person who donates (or another sewing enthusiast) to come in and give your students a lesson on how the machine works. It would be a great opportunity to bring in someone from your student’s family or a community member. 6. Make an electronics station. This area can be as simple or as involved as you want. Reep has all sorts of little motors and electronics in her station, and she says that it’s a great place for free play. Once students learn how they work, they can tinker and work on their own. Makerspace secret: If you’re just getting started in this area, there are some great kits out there. Look on Amazon or on education websites. 7. Establish an area for robotics. Robotics will definitely be one of your most popular areas. 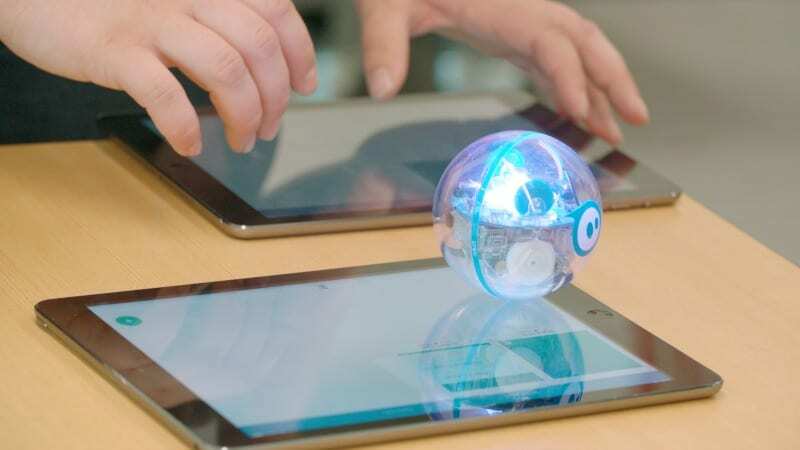 While Reep usually reserves robotics for slightly older kids, it’s a great makerspace area to establish in your classroom, either temporarily or long term. Last year, she had students create mazes, and then they had to program their robots to get through the maze. It took a long time, and there was some definite trial and error, but Reep says that’s what makerspace is all about. Makerspace secret: This is another one where a kit can go a long way in getting started. If you don’t have the budget for a robotics kit, ask around your school or district to see who might have a robot you can borrow. Then work it into your curriculum or make it part of a special project. Reep says a good makerspace builds a student’s confidence and skills to handle both classroom work and get them ready for the real world. The makerspace featured here is at Faubion School in Portland, Oregon. It reflects the core values of Concordia University-Portland’s online Master of Education (MEd) and Doctorate of Education (EdD) programs. If you’re looking for an online master’s program that uses modern methods and approaches like this, learn more about their programs.